The Land Use Planning Commission (LUPC) is a 9-member board with both county and gubernatorial appointees. Eight of the seats are filed by the counties with the most acreage within the unorganized and deorganized areas of the State. Each of the following counties (listed from largest to smallest in terms of qualifying acreage) is responsible for filling one seat: Aroostook, Piscataquis, Somerset, Penobscot, Washington, Franklin, Oxford, and Hancock. The final seat on the board is filled by the Governor. The qualifications an individual must possess to serve on the Commission and the appointment process for both counties and the Governor are set in statute, 12 M.R.S. § 683-A. Commissioner Worcester started out his career as an educator. He is a graduate of Washington State Teachers College in Machias with a Bachelor of Science, has a Masters of Education Degree in math/science from the University of Maine in Orono and a Ph.D. in Educational Administration from the University of Texas at Austin. He has taught from the 4th grade through graduate level, was a Peace Corp Volunteer, and has been an administrator at various levels including as the State Director of the Bureau of Louisiana Assessment of Educational Progress. In 1975 he and his wife Lee moved back to Maine and in 1978 he earned a real estate brokers license and has been self employed ever sense. In 1991 when appraisal licensing went into effect he became a Certified General Appraiser. He has owned his own agency and practiced real estate brokerage and appraisal for many years and now concentrates on appraisal work in Piscataquis, Somerset, and Penobscot Counties. He has also developed and taught many real estate and appraisal continuing education courses. He has been a private pilot since the early 1970's and he built and flew a two place, experimental, open cockpit bi-plane for many years. He and his wife Lee own a blueberry farm in Orneville Twp. and harvest some 30 acres of Maine low bush blueberries each year. Most of their product goes to the fresh market through farmers market's, road side stands, and local grocery stores. They also have a value added business selling 14 products based from their own wild blueberries. In addition, they own and manage some 200 acres of woodland in Orneville. They also own a traditional Maine camp, out house and all, on an island in Sebec River 4 miles up river from Milo. Lee and Everett have one daughter, Courtney, who is an attorney in Boston and a Golden Retriever named Blue. Commissioner Fitzgerald currently serves as the Washington County Manager and was appointed to the LUPC by the Washington County Commissioners in 2014. A life-long Maine resident, Fitzgerald is a graduate of the University of Maine Machias and the Edmund S. Muskie School of Public Policy at USM. 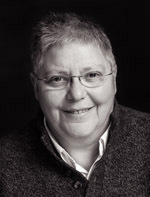 Following a long career teaching high school history, government and law at Erskine Academy in central Maine, Fitzgerald returned to Washington County as the manager for the Town of Machias before moving "up the hill" to county government. A long-time code enforcement officer and plumbing inspector, Fitzgerald serves several area Washington County towns in those capacities. Millard and his wife Beverly operate a fourth generation family farm in Franklin, where they raised 6 children and are enjoying 13 grandchildren. Millard has been involved in the lobster, sea urchin and farm raised salmon industries, as well as blueberry, Christmas tree and Christmas wreath industries. Millard was first elected to the Franklin School Board in 1974 and has been involved in municipal government ever since. He served 10 years as Tremont's Town Manager, 27 years on the Franklin Planning Board, 29 years as a Tax Assessor and 16 years as Code Enforcement Officer. He is presently the Unorganized Territories Supervisor for Hancock County, in addition to serving as Tax Assessor in 2 towns and Code Enforcement Officer in 5 municipalities. Hobbies include hunting, and cowboy action shooting. He is a volunteer hunter safety instructor and enjoys working with young people teaching firearms safety. Commission Everett was born in the western Maine town of Norway in 1948. He called Yarmouth Maine home for a short time until moving to the western foothills of Mason Twp. in 1953 where he enjoyed hunting and fishing. Bob attended Gould Academy and after graduating in 1967 entered the U.S. military serving until his retirement in 1993. While in the military, he attended night school and graduated from Virginia Wesleyan College in Norfolk, Virginia in 1991. Bob moved back to Maine and settled in Bethel with his wife in 1993 where he owned and operated an automotive garage in Bethel for 15 years until fully retiring in 2010. 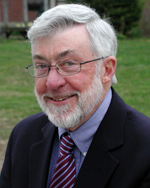 During his time in Bethel, Bob has served on the local planning board and school board, board of assessors, and the finance committee and elected selectman for nine years, also serving for two years on the Oxford county's board of assessment review. Several other community interests include membership in the American Legion Post 81, member at large VFW and the Bethel Masonic Lodge 30. Bob enjoys working on his old cars and taking long walks. Bill Gilmore - Freeman Twp. Mr. Gilmore has lived his entire life in the western mountains of Maine, the first 52 years in Kingfield and for the past 12 years in Freeman Twp.. Bill and his wife Cindy have been married for 39 years and have two grown children and four grandchildren. They currently live on Freeman Ridge, one mile east of the village of Kingfield. Bill has been employed for the past 27 years with the town of Carrabassett Valley as its Tax Assessor, Code Enforcement Officer and Plumbing Inspector. Additionally he has served as the town manager for 10 of those years. Bill is currently involved with the Franklin County TIF committee, a member and past Master of Mt. Abram Lodge, and has been very active for many years in the growth and planning for Kingfield. His hobbies include hunting, skiing, snowmobiling and spending quality time at camp on Hancock Pond. Commissioner Hilton was appointed by the Somerset County Commissioners in early 2019, after having been off the Commission for several years. Her prior service was from 2005 to 2017. Commissioner Hilton resides in the Town of Starks and has been working and recreating within the LUPC jurisdiction for over thirty years. As a municipal consultant she has provided community planning services to a number of towns on the fringes of the jurisdiction, such as Greenville, Dover-Foxcroft, Lincoln and Willimantic. Her consultant work has included planning for the new Katahdin Woods and Waters National Monument. Gwen has a B.S. in Biology and a M.S. in Geoenviromental Studies. Ms. Hilton has been involved in farming most of her life. Her family's eight-generation farm operation includes commercial forestry and hay production, adaptive reuse of farm buildings for commercial storage and equestrian activities. In 1999, she and her husband, Ernie, were honored to receive the Somerset County Conservation District Outstanding Woodlot Owners of the Year award. Ms. Hilton is also very active in town government, including having served on the Starks Planning Board for several decades. In addition, she recently began service as a Supervisor for the Somerset County Soil and Water Conservation District. Gwen enjoys most anything outdoors, including hiking, canoeing, camping, cross-country skiing, horseback riding, gardening, haying and other farming activities. Family vacations with her husband and two daughters over the past thirty years has involved activities in many areas of the LUPC jurisdiction. Commissioner Humphrey was born in Island Falls, Maine and resides in the Unorganized Aroostook County community of Benedicta with his wife Elizabeth. 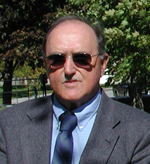 He is a 1967 Graduate of Mattanawcook Academy in Lincoln, Maine, International Correspondence School of Transportation Management, and Dale Carnegie, is certified as a Senior Certified Grants Specialist and Certified Grants Reviewer by the National Grant Reviewers Association and attended the Buckley School of Public Speaking in 2005. Commissioner Humphrey's professional experience includes demonstrated accomplishments in health care management, grants management & consulting, transportation warehousing distribution logistics and a Registered Master Maine Guide. Since 2000 he has served as the CEO of Katahdin Valley Health Center a Federally Qualified Health Center with sites in Patten, Island Falls, Millinocket and Houlton, Maine. Commissioner Humphrey has served on several non profit boards such as president, Vice president and past President of the Maine Primary Care Association since 2000, presently serves as a director of the Patten Lumberman's Museum, Patten, Maine and Health Services Foundation, Houlton, Maine, past member of Patten Ambulance Service Advisory Committee, past President and Founder of 2 Snowmobile Clubs, and past member of Presque Isle Rod and Gun Club. He has also served as an elected official of the Hampden, Maine Zoning board of appeals, is currently serving his second elected term on the Aroostook County Budget Committee representing the Unorganized Territories. He is a Harley Owners Group Life member and a Registered Master Maine Guide for over 25 years. Commissioner Humphrey enjoys time with his wife of 45 years their grandchildren, two sons and friends, hunting, fishing, being and guiding in the great outdoors in general. 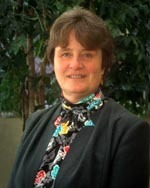 Commissioner May has been a resident of Aroostook County since 1966. Upon graduation from the University of Maine, with a degree in forest management, he started his career as a forester for International Paper Company. During his time with IP he worked out of the Ashland and Clayton Lake Districts. In 1973 he went to work for Prentiss & Carlisle, Co., Inc., working out of Ashland, continuing there until his retirement in 2009. Work experience included: planning and supervising harvest operations, forest inventory, road layout, annual budgeting of income and expenses, assisting in the marketing of forest products and scheduling their delivery. Representing Prentiss & Carlisle, he served on the Administrative Committee of North Maine Woods, Inc. for many years. He served the Town of Ashland on the planning board and town council, serving as chairman of the council for one year. As a member of Union Congregational Church he has served the church as treasurer and president. He is a member of Pioneer Lodge #72 A. F. & A.F. having served as master and is an Anah Temple Shriner. Hobbies include woodworking, gardening, fishing and hunting. He and his wife Jackie have been married for 44 years and reside in Mapleton.